Would you make a good financial advisor? Take our career test to find out how you match with this and over 800 other careers. What is the workplace of a Financial Advisor like? A financial advisor is someone who gives financial advice to their clients. 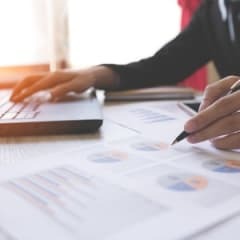 In determining an investment portfolio for a client, they must be able to take into account a range of information, including economic trends, regulatory changes, and the client’s comfort with risky decisions. A major part of a financial advisor’s job is making clients feel comfortable. They must establish trust with clients and respond well to their questions and concerns. Financial advisors assess the financial needs of individuals and help them with investments (such as stocks and bonds), tax laws, and insurance decisions. They help clients plan for short-term and long-term goals, such as education expenses and retirement. They recommend investments to match the clients' goals. They invest clients' money based on the clients' decisions. Many also provide tax advice or sell insurance. 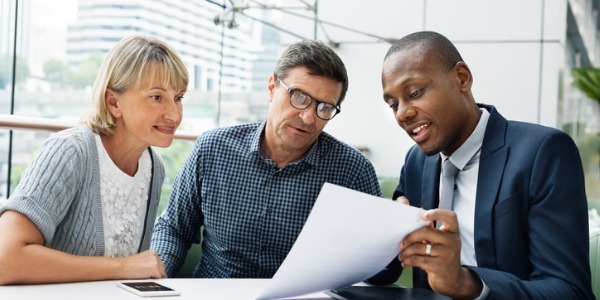 Although most financial advisors offer advice on a wide range of topics, some specialize in areas such as retirement or risk management (evaluating how willing the investor is to take chances, and adjusting investments accordingly). After they have invested funds for a client, they, as well as the client, get regular reports of the investments. They monitor the client's investments and usually meet with each client at least once a year to update him/her on potential investments and to adjust the financial plan because of the client's changed circumstances or because investment options have changed. Many spend a great deal of time marketing their services, and they meet potential clients by giving seminars or through business and social networking. Many financial advisors are licensed to directly buy and sell financial products, such as stocks, bonds, annuities, and insurance. Depending on the agreement they have with their clients, advisors may have the clients' permission to make decisions about buying and selling stocks and bonds. Private bankers or wealth managers are personal financial advisors who work for people who have a lot of money to invest. These clients are similar to institutional investors (commonly companies or organizations), and they approach investing differently from the general public. Private bankers manage a collection of investments, called a portfolio, for these clients by using the resources of the bank, including teams of financial analysts, accountants, and other professionals. Are you suited to be a financial advisor? Financial advisors have distinct personalities. They tend to be enterprising individuals, which means they’re adventurous, ambitious, assertive, extroverted, energetic, enthusiastic, confident, and optimistic. They are dominant, persuasive, and motivational. Some of them are also conventional, meaning they’re conscientious and conservative. Does this sound like you? Take our free career test to find out if becoming a financial advisor is right for you. Financial advisors typically work in offices, and approximately one-fourth of financial advisors are self-employed. Many also travel to attend conferences or teach finance classes in the evening to bring in more clients. Most advisors work full time, and 24% work more than 50 hours per week. They often go to meetings in the evenings and on weekends to meet with existing clients or to try to bring in new ones.